You don't have to cook for hours upon hours this Thanksgiving Day. Take some short cuts. Here are some options for the full feast or maybe if you just need the sides, these restaurants can help. Don't forget you may need some time to reheat some of the items as instructed. Be sure to read all the fine print before ordering to assure you get your meal on time. RELATED: Thanksgiving Day food options in Houston? You name it! Homemade roasted Thanksgiving Day turkey with all the sides. 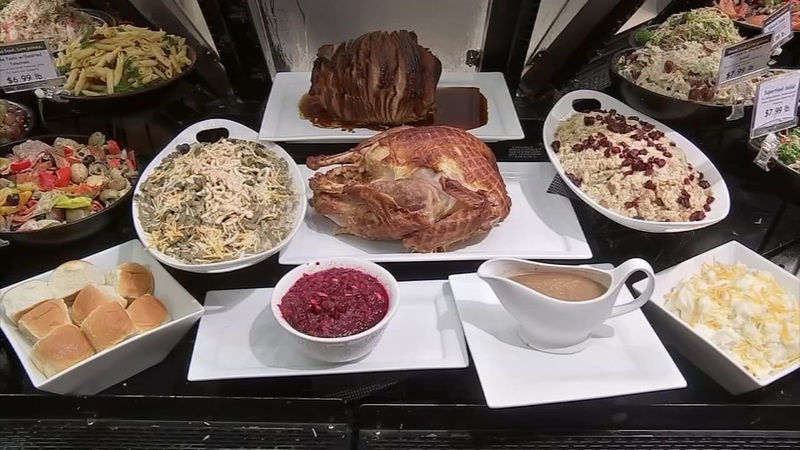 Pappas has several options to choose from, including a whole, 10 to 14-pound smoked turkey for $54.95, a 4-pound whole turkey breast for $49.95, or a 4-pound spiral sliced ham for $34.95. RELATED: Not cooking on Thanksgiving Day? No problem-- you have options!